Lot # 40: 1887 Tobin Lithographs Color The Flower of the Flock (Our Own Kelly) PSA EX 5 - Highest Graded! Graded EX 5 by PSA. This is the ONLY example graded at this level with none higher. Extremely attractive example of Hall of Famer Mike "King" Kelly from the 1887 Tobin Lithographs Color series. 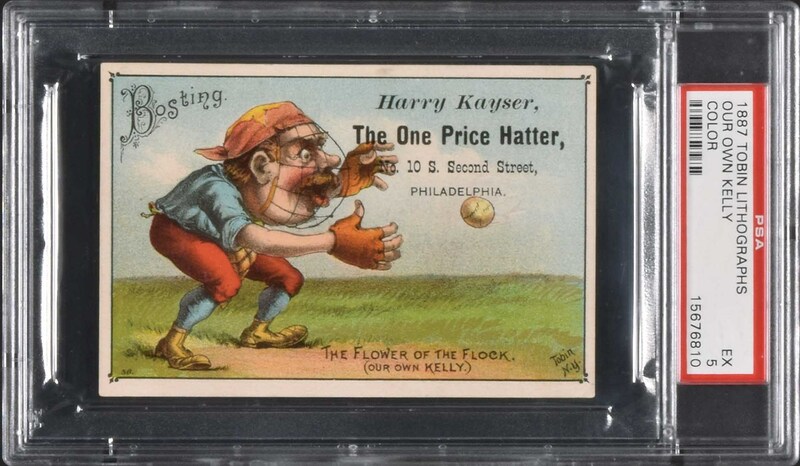 Each card from this unusual series features a caricature of a Major League Baseball player with an amusing slogan and the player’s name below. These cards were designed to allow merchants to overprint their own ads on the front or blank backs, for use as an advertising vehicle. Identified along the bottom of the card as "The Flower of the Flock, (Our Own Kelly. )," the card pictures a caricature in catcher's gear awaiting the ball. Bright, crisp, and clean both front and back, with light wear on the corners, and excellent centering. The reverse is blank. 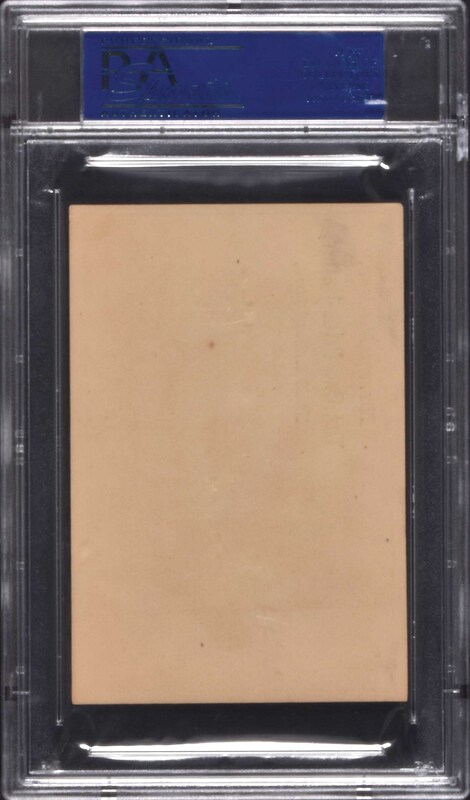 This is a highly graded example of the key card from this very rare, distinctive, and attractive nineteenth-century issue. Reserve $200. Estimate (open).